Home » Featured , Latest Buzz , Paper News » Summer releaser for Ai ? Summer releaser for Ai ? Director Shankar says that shooting for his Tamil romantic thriller Ai will completed as soon as they wrap up the last song with Amy Jackson. He is readying it for a summer release. The film has been on floors for close to two years. Visual effects company Weta, which has worked on films such as The Lord of the Rings and The Hobbit trilogy, has been working on the special effects of the film. "The 'A' to 'Y' of Ai is completed after lot of hurdles. Vikram and Weta's Shoot was completed by completed February 25, 'Z' - left is only one song with Amy, "Shankar posted on his Facebook page. He added the post production work including editing and dubbing going on full swing. 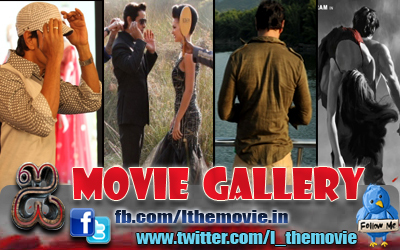 Featuring Vikram in the lead, Ai also features Upen Patel, Suresh Gopi and Santhanam in important roles. while a host of foreign technicians have worked on the film, Oscar-winning composer A R Rahman has composed the tunes, Shankar says the film may come out during summer. "If all is well, Ai will be ready for summer, since this is a big film, the release depends upon the producer's plan, "he furthur posted, Ai will be dubbed in Telugu and released as Manoharudu at the same time as Tamil Version, the director furthur added.